Central Heating Installation – New complete central heating installations and upgrades at prices you won’t believe possible. We can fit the latest super efficient boilers and radiators to save you money year after year. Boiler Installations & Upgrades – You could save yourself a great deal of money each year by having a modern fuel efficient boiler installed. 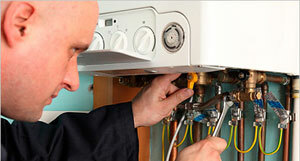 We can upgrade your existing heating system at surprisingly low cost. Boiler Repairs – We are experienced in fixing all leading brands of boiler and can have you up and running in no time – all from a Gas Safe Registered Engineer at the best price. Boiler Service – Your boiler should be serviced annually so that it can perform efficiently and safely – we can do this at a fixed price so that you will be safe and warm when you need it. Fixed Price – We can give you a fixed price for your heating job so you have no surprises waiting at completion of the task. Guarantee – We give a no nonsense 12 month guarantee on all parts and labour. Local Medway Engineers – We are local to you and can be with you when you need us. With over 20 years servicing Medway’s plumbing and heating problems, let Lancaster Plumbing & Heating solve your plumbing & heating troubles – Contact Us Now by phone or Web contact form.